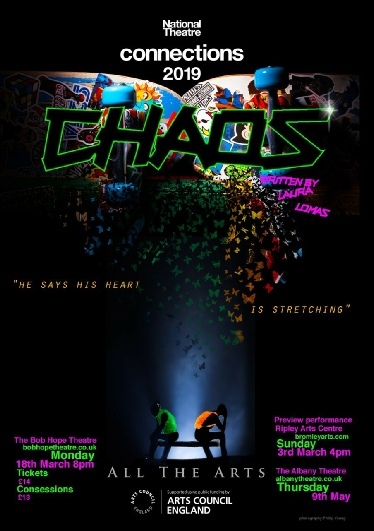 As part of the National Theatre’s 'Connections' season local actors from All the Arts present one act play 'Chaos' by Laura Lomas. With a cast aged 11 - 18 years this gritty, modern play explores emotion in a symphony of dislocated and interconnected scenes. A series of characters search for meaning in a complicated and unstable world. Bouncing through physics, the cosmos, love and violence, they find order in the disorder of each other.